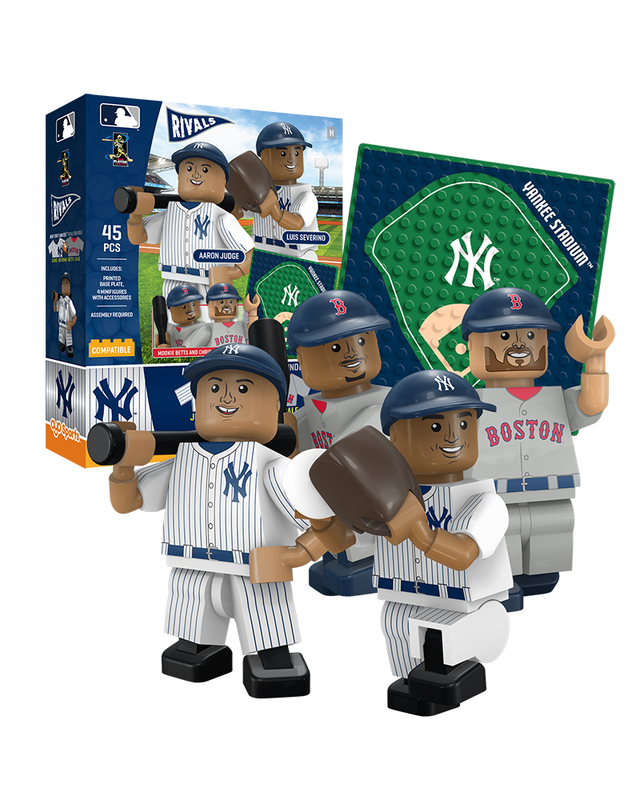 This Rivals set features the debut of the ROOKIE OYO minifigures of Luis Severino, the Yankees pitcher quickly becoming a star! 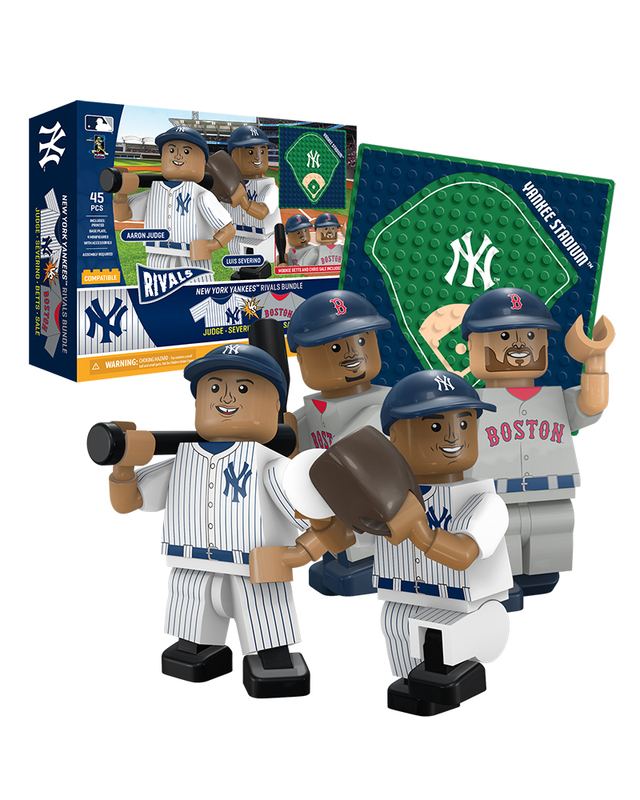 Each Rivals set has Aaron Judge, Luis Severino, Mookie Betts and Chris Sale. The Yankees are the home team, and get the home uniforms, while the Red Sox are visiting in their road uniforms. The set comes with a special Yankee Stadium display plate, on which your collection can stand or recreate some fun between these rivals. A fun way to continue your imaginative play between these two great teams!